Paris - Lens fans who again aimed a French slang word for gay at opponents insisted on Tuesday that they didn't "think the words could wound" and that they were the victims of a "media buzz". 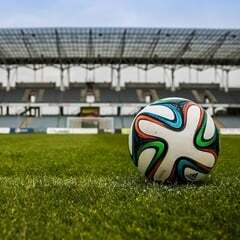 On Monday a court in Bethune in northern France opened an investigation into chants it described as "provocative and possibly homophobic" at a Ligue 2 match between Lens and local rival Valenciennes on Friday. The French league's disciplinary commission will examine the case on Wednesday. The investigations follow a video released by Rouge Direct, a gay football collective, that shows the cheerleader, or 'capo', of the Red Tigers group of ultras, starting a chant aimed at Valenciennes players containing a widely used French insult often aimed at gay men. On Tuesday, the fans responded, through a spokesman, that they had been misunderstood but that they supported their capo. "In our stand, nobody has been, or will be, categorised by gender, sexual orientation, origins, colour or religion," Pierre Revillon, spokesperson for the Red Tigers, told AFP. "Being a Lens supporter is enough for us. "We will remain behind the capo, who had no nasty intentions when he started the chant which was taken up by the whole stand, who did not think the words could wound and harm the homosexual community. "You've heard these chants in every stadium in France for years," he said. Revillon added that the Lens ultras were "dismayed by the attitude and methods" of Rouge Direct and "bodies that classify without understanding and without making the effort to understand the history and culture of our terraces," Revillon said. "We refuse to be insulted as homophobes and we do not want to serve as an example," he said, adding that Lens fans "invite the Rouge Direct collective to come to see us and talk with us in the stands, something they should have done before embarking on a media buzz that makes us look like people we are not". Lens later issued a statement which said the Red Tigers cheerleader had agreed to step aside until further notice. "The stands at the Stade Bollaert-Delelis have always advocated open-mindedness and fought against all forms of discrimination," the club added, inviting Rouge Direct to attend a Lens game "to observe the friendly, respectful and festive atmosphere in the ground".